The B team. Any team which represents Arsenal has a duty to give 100% and perform with pride. So far our reserves have done just that. We welcome Red Star and their passionate fans, who will hopefully bring the kind of atmosphere created by Koln (but not the chaos, please). If I am honest the Belgrade fans were the best part of the away leg, we won but it was turgid stuff. Can we entertain tonight, please? Win tonight and we top the group, which is no more than expected. We are on a different financial level to our rivals. Things will change as we enter the knockout rounds – just last night Athletico Madrid, Napoli and Borussia Dortmund (you know we will draw them!) dropped into the Europa. It will be tough to win. 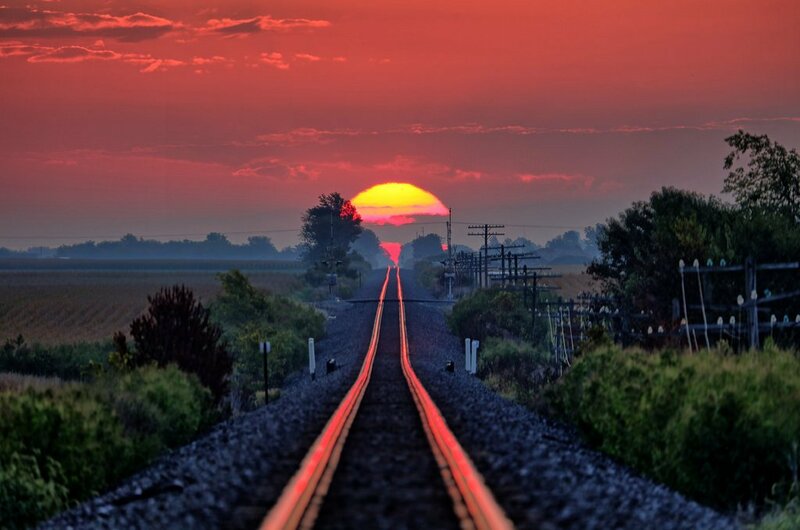 But that is for another day …. This team seems a bit light in creative midfield and perhaps Iwobi will start. It is not a vital game and as such, why put players at risk ahead of Man City? Look at that back 5! Excellent. Win tonight and Mr Wenger can play the Arsenal Ladies team against Bate. This entry was posted on Thursday, November 2nd, 2017 at 9:50 am and is filed under Uncategorized. You can follow any responses to this entry through the RSS 2.0 feed. You can leave a response, or trackback from your own site. I always look forward to you starting off game day for us. The Belgrade fans will be super charged and the team will want to reverse their loss to us so they will have their tails up. I look forward to the game – as usual. I am going with the same team as you have up there. Another pressure’s off game tonight. Would be nice for a few of the youngsters to get a goal. I used to love chanting, “Willie, Willie, Willie” when he used to come up for corners. I’d be more worried about that midfield of Rix, Walford, David Price and Mark Heeley. Come on AAer’s step right up and give us your thoughts on today’s game, it’s only a few hours away. Our future stars will be out showing us their skills, lots to talk about – so step right up!!! Top drawer Raddy, thank you. Another chance for our young guns and returning players to shine. Jack can show Southgate that he’s twice the player deliyalli is … mind you, I’m happy he’s not playing in the internationals … we want to keep him fit for Arsenal. Looks like Arsenal are starting to pull at Sanchez’s heart strings!! Is there not a law preventing the giving of Xmas gifts in the first week of November? Rasp. JW first got crocked playing in a friendly for England. He is well out of it. Tell that to Real Madrid. The 6:09 makes perfect sense!!! Shows what a pleb I am. Was about to say that I’ve never heard of it because they don’t do it in Aldi. Raddy did you hear about this. An unnamed Chinese guest paid CHF9,999 (US$10,277) for a 2cl measure of a single malt in the Devil’s Place bar at the Hotel Waldhaus am See in St Moritz, Switzerland, on 29 July. The $10,000 measure of an 1878 Macallan vintage Scotch whisky turned out to be a fake, according to experts when it was tested. The restaurant manager flew to China to give the customer his money back. Here’s one for the spud lovers. Jeez GN5 why stop there. You may as well hit the Tequila slammers after that. You are almost a match for the Vines Bros. Thanks for the post Raddy. I like seeing the youngsters and it is an opportunity to give them game time, and also get Jack more 90 minute fit. I don’t want it to sound critical of Arsene (again) but as much as giving them playing time I would hope that AW plays them in positions that they are potentially earmarked for in the long run. Jack looks a great bet in the Ozil (number 10) role to the right of centre, so I would like to see him there rather than on the left. I thought Maitland Niles was being thought of as a CM so I would rather see him there than as a LWB. 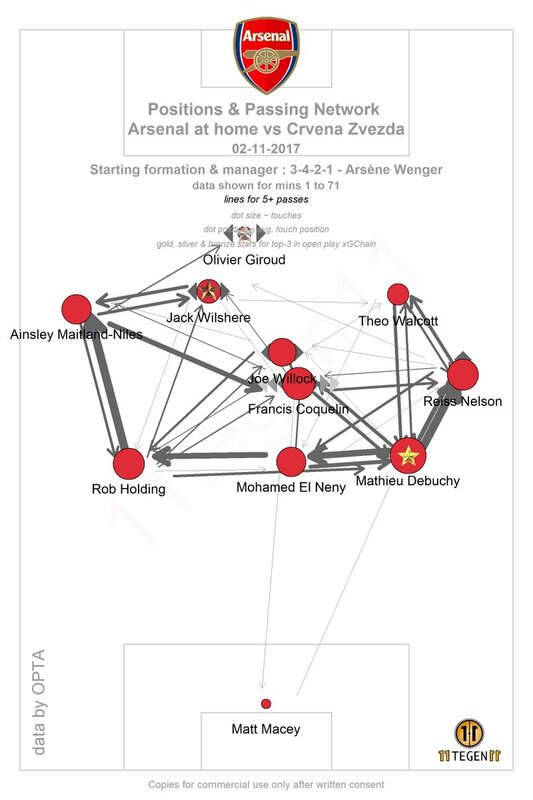 I think Nelson is more RW then RWB but was also playing left inside centre (Sanchez role) to good effect a lot at academy level, so I would like to see him there. It is still more likely than not that Ozil and Sanchez will not be Arsenal players by next year with some big boots to fill. It would be nice to find out if we have excellent options from within, but we will only know if they are played in those positions when opportunity presents. The early stages of the Eurodisney shield seem perfect to find this out. Costs €6 a bottle here when on special offer. Damned fine tipple. €10k for a dram is just stupid and proof this bloke has more money than sense.I wonder why they tested it? Publicity? 6.27. RM were asleep for the first 75 minutes. GB. We already know that AW plays his young attackers in defensive positions or as wing backs. Raddy Macallan saw pictures of the bottle that it was poured from and they questioned the Hotel about the fact the the cork and the label did not look authentic so the hotel sent them a sample to test. It turned out that it was from the 1970 period and was in fact a blended scotch and not an original Macallan. Starting XI: Macey, Nelson, Debuchy, Elneny, Holding, Maitland-Niles, Coquelin, Willock, Walcott, Wilshere, Giroud. Subs: Cech, Osei-Tutu, Akpom, Dasilva, McGuane, Nketiah, Sheaf. GB, these days I’m a modest drinker but my liver took a substantial beating until about a decade ago when I decided to slow down. But I simply cannot resist a tipple of Macallan. Good to see young Nketiah on the bench Micky. I’m off out to pick up the grandchildren. Micky. if you enjoy a single malt then Macallan is a must buy. Since Time Out printed their recent guide to the top 100 restaurants in London (not necessarily based price) I have been doing my best to eat my way round them. Tonight I am in a restaurant called Sardine near the Angel—roast brill with clams, a glass of Rhône and the world is a wonderful place. As far as travelogues go that is the best I can do. I am with you on that one GN5, you fill your boots. Not on a school night for me though with the malts. Good guessing Raddy. 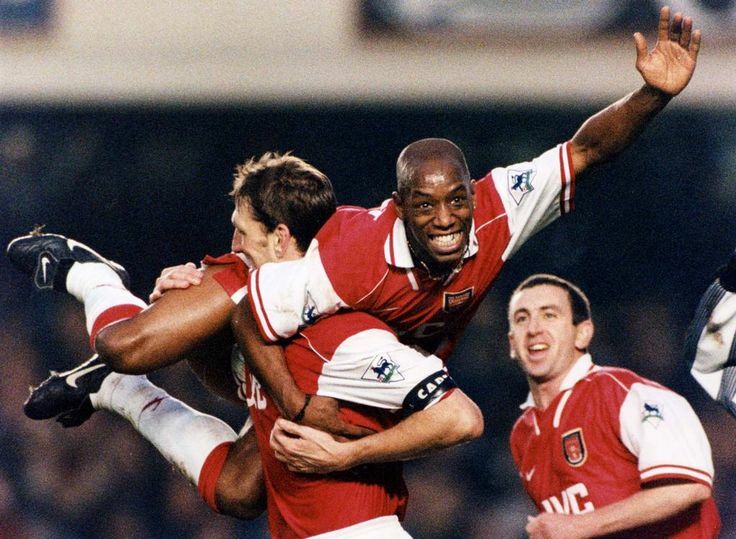 I am all for a bit of Dutch Total football in a young players development Raddy, just that I think AW persists with it for too long once they get to a certain stage when they should be working on becoming specialised in one position. Oh come off it GB, you don’t believe that nonsense for one minute. The good ones play up top, the rest at the back. LB. That is a great idea. I once ate on a weekly basis in every restaurant on Blackstock Rd. Took almost a year. Are you the first team in disguise? So about 300 odd kebabs was it? Does this game look as dire on the TV as it does here at The Emirates? Agree Micky. All three were very average. We expect far more from all of them. Macey doing well. Surely the second half can’t be as bad as the first? Bring on Nketieh? Has Walcott touched the ball this half? Played my part and in E flat major which was a stretch. Was the most interesting 10 minutes this evening. 90 minutes of my life I’ll never get back again 😦 l can’t wait to hear Arsene’s analysis! Francis Coquelin comes forward for Arsenal – he has about three players ahead of him but doesn’t know what to do and just runs into a man. Ball lands to Francis Coquelin who takes on a first-time shot from 25 yards. I think we all know this doesn’t end in a goal. He sort of double kicks it and it just bounces away. I don’t watch a game expecting Arsenal to blow away the other team I watch for the sake of enjoyment and today I really enjoyed watching the young players strut their stuff today. 0-0 was an okay result for us. On another note I’m really sad to have missed the banter during the game – but my grandchildren come first – even before the Arsenal. Micky you make a real difference – good to see you back. Now we have to get Eddie back – where is she? I wish I could be as zen like about that game as you GN5 but I am not. When those young players came together at the beginning of the season there was a fresh excitement about their play. That has now gone. 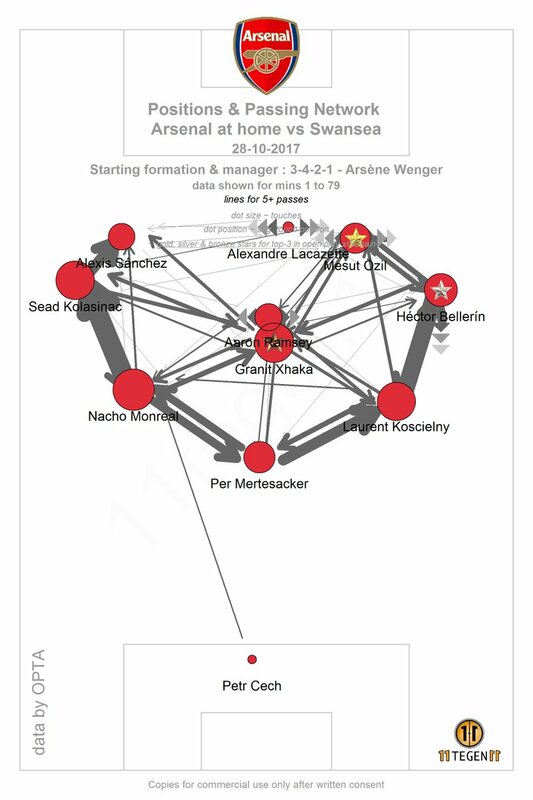 Arsene seems to have knocked it out of them and replaced it with the first team’s tedious passing of the ball backwards and forwards along the back line over and over again. It may be efficient but it makes for very dull viewing. With the success of the xGplots, here are our last two passmaps. The thicker the lines the more passes between two players – that’s about all you need to know. – almost a complete wheel shape but with a chunk of the rim and spokes missing up front as you might expect against a 10 man defence. Yes LB, it was a dire affair last night. I didn’t even watch the last 20mins. I though the goalie and Elneny were very good, the rest ok. If not for Belgrade players trying on counter and falling like dead, the game would be unwatchable. In other news, Patrice Evra sent off before the game started. Theo looks so proud to be captain. Watching Coquelin made me think of Frimpong – I have no idea why. Frimpong is only25 and has played for 9 clubs! Currently not playing for Ernis Aradippou (?) in Cyprus, so at least he will be warm. How many of those young stars playing last night will progress? I thought Macey was our stand out player. The bloke who missed all the easy chances for Red Star cost them €11m in the summer. Morning all. Chas the 7.45 picture I find weirdly mesmerizing. I only saw the 2nd half and Jack looked good most of that half. He is excellent at working us out of tight spaces with us still coming away with possession. Maitland Niles and Nelson both look very fast and technical and great prospects. That great prospects word though is becoming a bit of an enigma where Arsenal are concerned. No-one in their right mind can expect them all to make it but over the last number of years we seem to have had so many precocious talents or great prospects that fail to make the final grade. Personally I think we have a fundamental flaw in that final stage of their development rather than it just being they all aren’t good enough. Unfortunately I am saying that I no longer see Arsene as the best at creating world class players from good prospects. Take even Iwobi. He looks an excellent player but at 21 I feel we should have a much more definite idea as to his best position, and I feel he should be becoming more of a game changer and winner of games at times. Comparing him to say Rashford and Martial who are similar ages, I feel they both have a more defined role they are developing into and, dare I say it, look more of a game changer or winner than Alex which in my mind makes them the more valuable players. Perhaps you’re right about the ‘sideways’ation of our young players (as Mr. LB hinted at in his 7.02am) . I think the whole of the Premier League has a fundamental flaw in the final stages of the development of young players. The flaw is that it’s far easier to go out and buy ready made players in the current days of chequebook football rather than persevere with youngsters who suffer a dip in form, get immediately criticised and consequently lose confidence (like my Alex). The comparison between my boy Alex v Anthony and Marcus, I find a little odd. Anthony Martial was signed in 2015 for £36 million (potentially rising to £58m according to Wiki). He was signed as a striker with huge potential and became the world’s most expensive teenager. Marcus Rashford has followed a similar career path as my Alex, but is an out and out goalscorer, so is bound to be more of a game changer/more valuable (as long as he scores goals, that is). Can you believe Arsene is up for the October Prem Manager of the Month award? October, which included the sublime performance away at Everton, routine wins at home against Brighton and Swansea but also the Troy Deeney cataclysm at Vicarage Road. Wow – this injury was far worse than we knew. Arsenal’s Santi Cazorla says doctors told him he should be “satisfied” just to walk again after he contracted gangrene following an operation. The 32-year-old Spain international played his last game in October 2016 and had ankle surgery two months later. Despite eight operations, the wound did not heal and became infected. Despite several successful antibiotic treatments, there were fears the former Villarreal and Malaga player could lose his leg because of a blood infection. His last operation was a reconstruction of the Achilles tendon on 29 May, with doctors grafting skin from his left arm – featuring a tattoo – to his right ankle. Cazorla has since been on an intense rehabilitation programme and says he expects to be playing again in the new year. He says he receives messages almost every day from compatriots Andres Iniesta, David Silva and David Villa. “Everything that I have gone through has not been as simple an injury as people have believed,” said Cazorla, who has won the European Championship twice and two FA Cups. Cazorla’s injury problems started when he suffered a bone fissure in an international friendly against Chile in September 2013, and he became accustomed to playing with pain in his right foot. He had knee surgery in December 2015, before surgery on a tendon injury in the plantar area a year later. Wow GN5, that is far worse than I anticipated. Based on that I would be very surprised if Santi was able to play at the top level again. Thanks Mrs I (love you to). Let me explain my oddness. The fees don’t really have any significance in my comparison as I am only looking at each of them as attackers of about the same age group with a similar career pathway. I say attackers because each of them has been historically or is currently used as a winger / wing forward or striker. Martial and Rashford may be potentially considered more as a striker but they have both been more deployed as wing / wing forwards in recent times so all are similar(ish) forward players / strikers. One of the better known Arsenal youth blogs (2-3 years back) describes your lad Alex as “predominantly a winger but also capable of playing up front”, and then went on to say “Alex scored 10 goals in 17 appearances for the under 21’s”. All 3 actually have similar youth stats give or take in goals per appearances as attackers but your lad’s recent stats (as a goal scoring attacker) seem to have taken a nosedive in most areas from goals, shooting accuracy, big chances missed e.t.c. As such, and I say this with the most utmost respect to you Mrs I, could you either ask your boy to pull his finger out or quietly ask his boss why his shooting accuracy so average now and why he no score good or critical game changing goals much anymore like Marcus and Anthony does. Hello house, it’s been ages. It hasn’t been easy overcoming an excruciating battle against blindness. It’s sad that we are no longer part of Europe elite competition. Our club hasn’t exactly been on the upward swing like our rivals. The only game we’ve looked as close as we used to be in the Premiership this season what at the Bridge months back. And despite not being as commanding as we’d like to be with our young Gunners in the Europa, we are in the knockout stages. But what worries me greatly is Wenger’s stubbornness in addressing our defensive midfield woes. He doesn’t need to spend as obscenely as others have over the years to bring a classy DM Arsenal urgently require. Even when playing against the weakest of sides we always look the side that would concede. It’s not that the defense has been that poor but we lack required steel in the midfield. I don’t know why Wenger has continually refused advise in this regard but doing so has been our albatross. 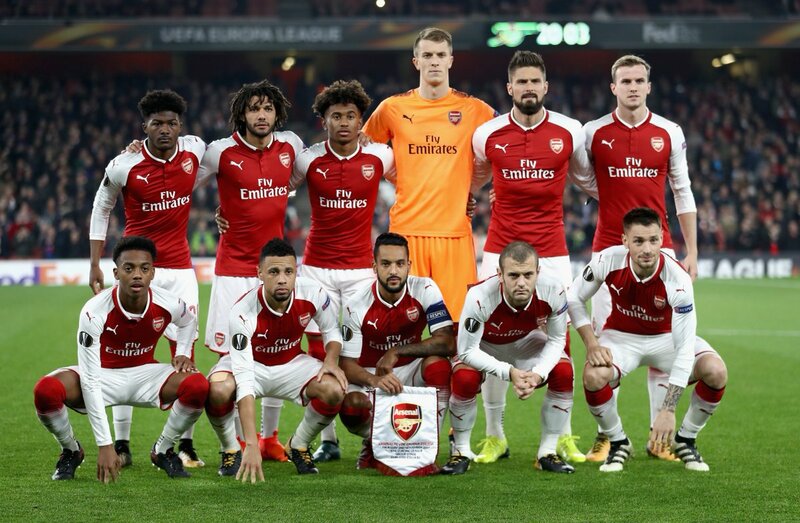 Though, lacking in experience and skills of the first team, the young Gunners have done us proud taking us to the knockout stages of Europa and in the process help keep our first teasers fresh. Blimey, how on earth has the extent of that injury to Cazorla been kept so quiet. I expect him to return in the Jan window in the same way as Rosicky and Arteta returned. Both had been injured and both needed to find new work. Arsenal are very thoughtful about trying to accommodate long term injured players. Some criticise this but some see the benefits of this policy as it undoubtedly has a positive impact on fathers who have to make a choice between clubs for their super talented sons. Imagine you were the father of who was supposed to be the next Messi, would you have your son sign for a club that cared for players who got injured or one that threw them on the scrapheap as quick as they could? Good point LB. All football fans must wish the best for Santi. A-holes like Roy Keane or Barton go through their careers maiming other players and survive unscathed. Our smiling genius gets permanently crocked.